Like most busy moms, my time is extremely limited. 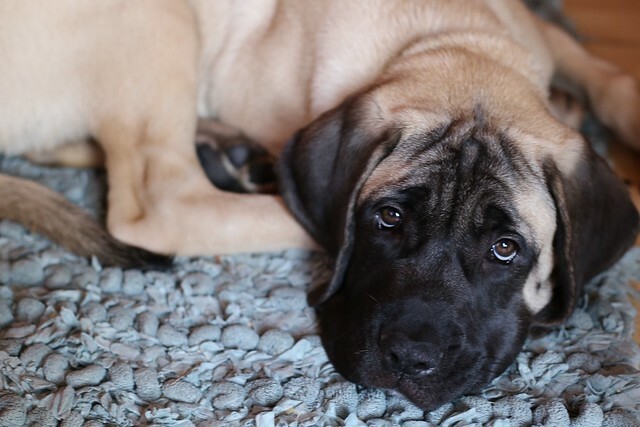 Cleaning up the MANY everyday messes, helping my kids with homework and daily tasks, training a puppy, and driving my kids to school, sports, or activities takes up most of my time. There isn't much time left over for myself, and I use those precious hours to work, sleep a few hours each night, and exercise when possible. This mama is exhausted, and I don't want to spend a lot of time on cleaning my house! This is where my kids get involved. Over the years, I've learned that kids are actually eager to help, if you approach things the right way. If I order my kids around, my demands are met with protests and eye rolls. But if I actually involve them and make it seem fun, they willingly tackle my requests...even with the dreaded Spring Cleaning! Let them choose the chore. 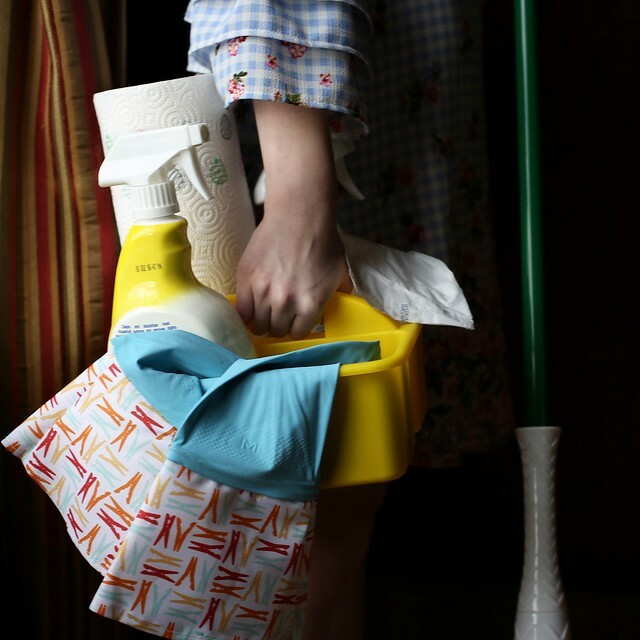 Write down a list of tasks that need to be completed for Spring Cleaning. Once the list is made, let your kid(s) choose the job that they want to complete. If they are given options, they are usually much more agreeable, because it gives them a sense of control! Invest in new cleaning supplies. There's just something about new cleaning supplies. When I have new items, it makes me feel a bit more excited about cleaning (if that's even possible), and my kids feel the same way! So before tackling Spring Cleaning, take stock of what you have, and write a shopping list of what you need. Most likely, you will need a few new things! This year, I invested in a new mop! I always choose mops from The Libman Company, because they have been making quality mops, brooms, and cleaning tools for 120 years, and their mops work well on every surface. 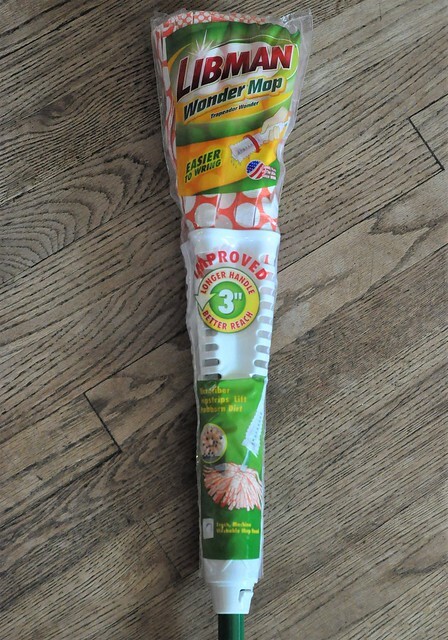 This year, I opted for the Wonder Mop, simply because I knew my kids would be able to easily wipe down the baseboards with it while mopping! 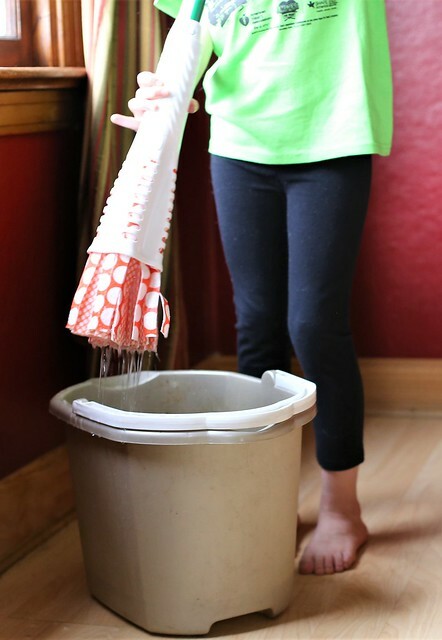 The Wonder Mop now has an longer handle for better reach and an easy-to-use power wringer, which helps your floors dry faster. 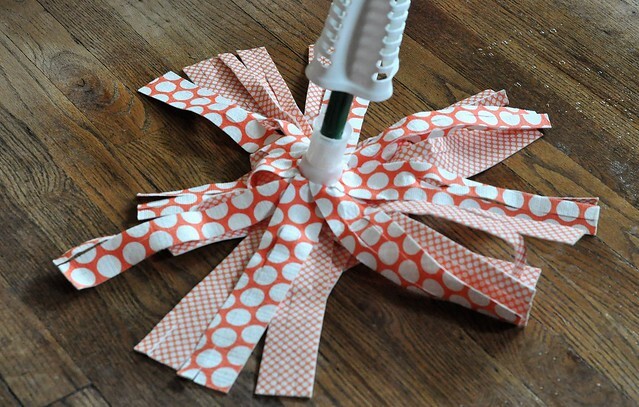 The microfiber Gripstrips lift dirt from the floor, and the mop head is machine washable up to 50 times! 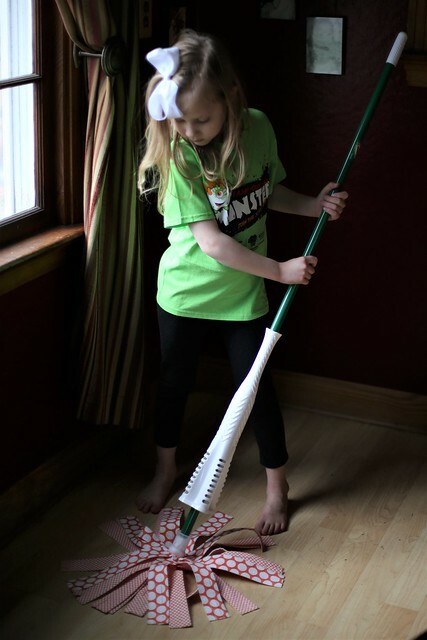 And just like The Libman Company's other mops, the Wonder Mop can be used on all surfaces (and cleans my baseboards and walls quite well)! Kids love fun challenges, so be a bit sneaky, and use this mom trick to turn cleaning into a game! 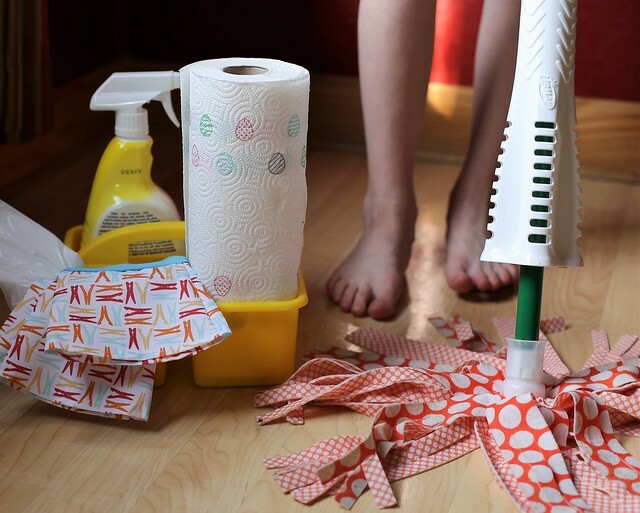 When it's time to start cleaning, break up their task into smaller, more manageable tasks, so they don't get overwhelmed, then set a timer for a short amount of time. Challenge them to thoroughly complete each task before the timer runs out. If they complete the task properly, they can move on to the next "level!" Trying to beat the timer becomes a fun game, and it tricks their minds into thinking that cleaning is going by much more quickly than expected! The end result? 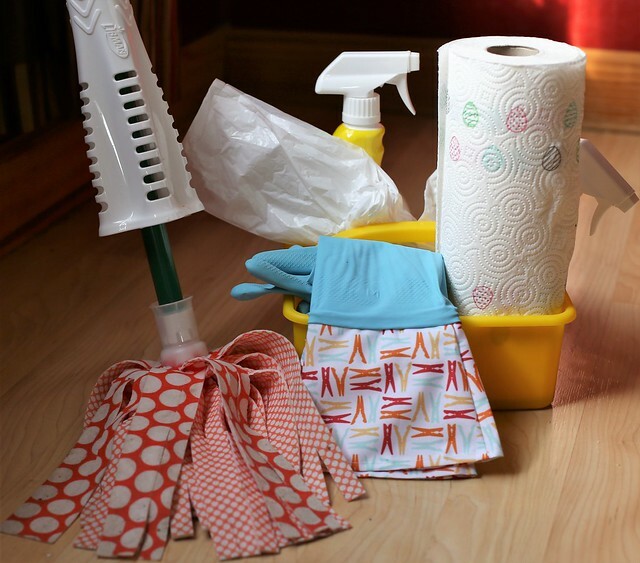 A clean house with minimal complaints! 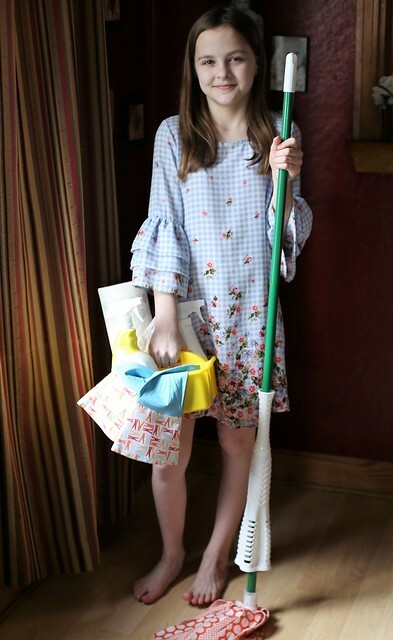 Give them their own Spring Cleaning Caddy. Remember how much fun it is to clean with new supplies? 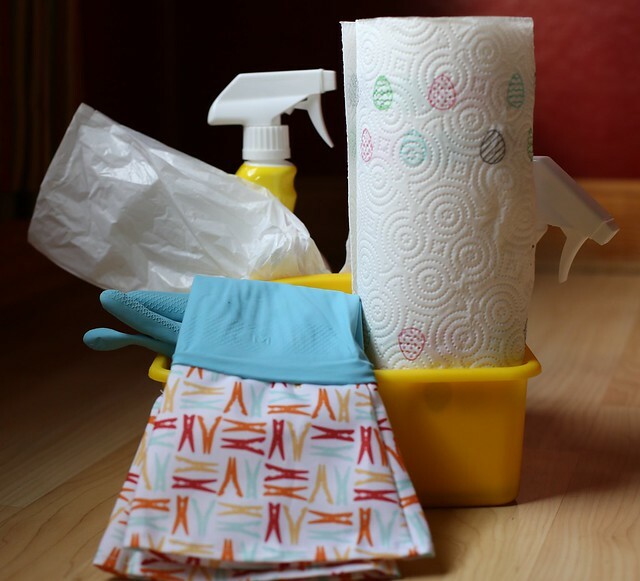 Make it even more fun by giving kids their own cleaning supplies. An inexpensive plastic caddy from the dollar store can easily be filled with the basics they will need to get their jobs done! Encourage your kids to work together as a family! A happy face and an upbeat attitude from you will inspire them to enjoy the moments spent together, even if they are spent cleaning. Turn on some music, take turns choosing the tunes, and sing and dance your way through Spring Cleaning! Spring Cleaning 2018: My kids were willing participants, but the messiest one of them all just watched! 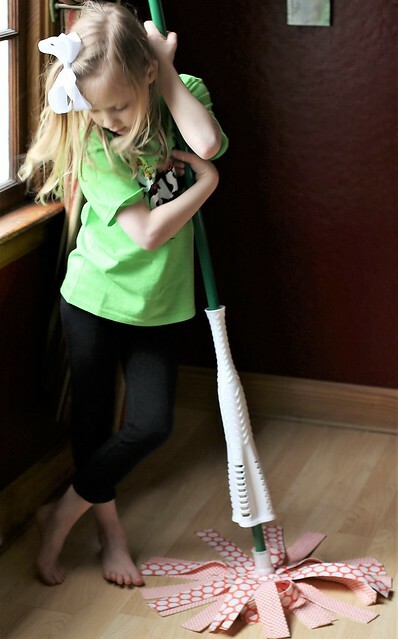 Getting kids involved in Spring cleaning is beneficial for the entire family, and teaches a healthy lifelong habit! More importantly, kids are learning that when the family works together to complete the not-so-much-fun tasks, it leaves more time for the really fun moments. My family works together to get our cleaning done as quickly as possible, so we can spend our time outdoors, making happy memories! Sign up for The Libman Company newsletter and get a $3 off coupon! Great post. I have to get my kids involved in cleaning too. It's hard! I really need to get our kids involved in house cleaning soon! It will be nice to have the help! You've inspired me. Lewie started cleaning for me for a weekly allowance, and then we just stopped. I think the idea of buying him his own new cleaning supplies is brilliant! I know new supplies will definitely motivate me to begin the task! 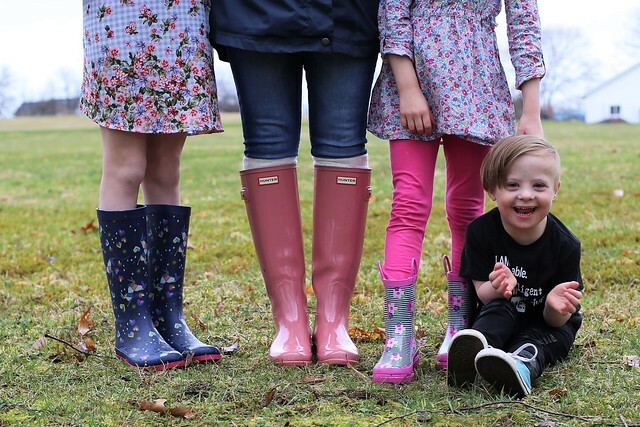 I LOVE the picture of the "messiest culprit" and the last picture of everyone with their rain boots and Liam having the time of his life. So precious!